28 November 2015 :: California schools are in the midst of a quiet crisis. An estimated one-third of the state’s teaching work force is nearing retirement age, and school districts increasingly are having a hard time replacing them. Enrollments in teacher-preparation programs have been free-falling for a dozen years: down from 77,700 in 2001 to 19,933 in 2013, a drop of 74 percent. New teaching credential totals declined by a quarter for the five fiscal years preceding 2013-14. It’s time for the governor and lawmakers to stem the looming shortage by giving potential teachers modest financial incentives to offset some of the costs of five-plus years of training. Parents across California are well aware that the shortage is already affecting their children’s classrooms. A Field Poll conducted for EdSource in November shows 64 percent of registered voters believe the shortage is a “very serious” problem, and 85 percent support financial incentives to attract new teachers. Experts point to a number of reasons why teaching is losing its allure: high college tuition costs, low starting salaries and elimination of financial incentives to enter the profession. The shortage is severe in math, science and special education, and is starting to impact English, history, social sciences and computer education. “It’s a five-alarm fire,” warns Linda Darling Hammond, chair of the California Commission on Teacher Credentialing. The Legislature and state government need to do something and soon because California’s 1,000-plus school districts already can’t find enough professionally trained teachers to staff every kindergarten-through-12th-grade classroom. Consequently, district administrators have been forced to waive legal credential requirements and hire interns and other less-prepared teachers. Los Angeles County schools issued 1,188 intern credentials, permits and waivers in 2013-14, according to a credentialing commission report. The problem is no less acute in other areas of the state. Alameda County schools granted 402 exceptions; Sacramento County 379; Riverside County 255; and Fresno County 225. Fixing the problem isn’t easy. Recognizing the potential shortage, in this year’s budget the state invested $490 million in teacher professional development programs such as the Beginning Teacher Support and Assessment Induction. Despite this investment, we must do better. The Assumption Program of Loans for Education, known to educators by the acronym of APLE, received no funding from lawmakers when they crafted this year’s spending plan. The program, which provided more than $80 million a year in assistance a decade ago, soon will be completely phased out. One idea to restart the program would be to give future teachers a modest incentive for spending at least five years earning a bachelor’s degree and a state teaching credential. Add in forgiveness for student loans, and we can move committed young teachers into qualifying schools and subject areas. This proposal is supported by Tom Torlakson, the state superintendent of public instruction, and is backed by every major educational and professional organization, including the California Teachers Association and the California School Boards Association. Lawmakers, who opted not to provide new funding for APLE during the 2015 legislative session, have a second chance to help our schools attract the best-trained teachers. We hope to make refunding APLE a priority in next year’s state budget or by passing Sen. Fran Pavley’s Senate Bill 62, which would revive and improve this proven state program. We need to invest in the teaching profession and encourage young professionals to come into our classrooms. Schools can provide the newest books, the most cutting-edge technology and the best curriculum, but the most important tool in the classroom is the teacher. State Sen. Fran Pavley, a Democrat from Agoura Hills, represents Senate District 27. Assemblyman Kevin McCarty, a Democrat from Sacramento, represents Assembly District 7. November 25, 2015 :: History teacher Edward Coyne believes class projects are the only way to get students learning. 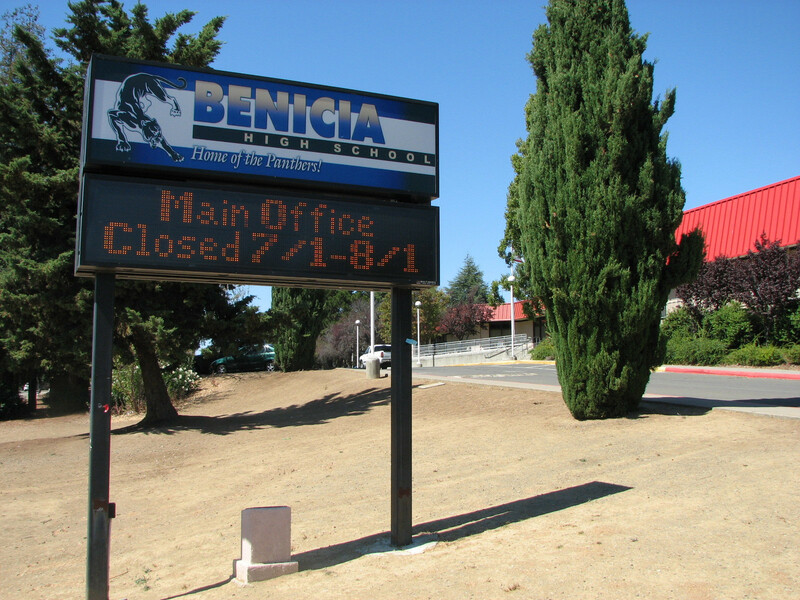 Coyne is considered one of the best teachers in the Benicia Unified School District because he plans daily hands-on activities designed to get teenagers excited about everything from the Age of Imperialism to the Cold War. “All the projects I do in class, I’ve made up on my own based on playing military campaign games as a kid and with my 12-year-old son,” says Coyne, who teaches at Benicia High School. Coyne’s ultimate goal is to help students achieve a deeper level of understanding versus memorizing a list of facts and figures. His projects range from a giant game of “Risk” to a scavenger hunt in the community. “You got to get buy-in from these kids. If they’re not sold on this project, they’re not going to put the effort into it,” Coyne says. State education officials now want more schools to take on this approach, known as project-based learning (PBL), because Common Core academic standards ask students to collaborate and solve real-world problems. Five public school districts, including San Jose and Fresno, have adopted this method on a voluntary basis, and more schools are embracing this method on their own. In Coyne’s World Civilization class, sophomores learn about life before the French Revolution. Coyne removes all desks in class. Students sitting on the floor play the role of peasants. Those who grabbed one of the few open chairs play the parts of Louis XIV of France, Marie Antoinette and noble lords. As part of the project, peasants have to draw strands of wheat on tiny pieces of paper under deadline. Once time is up, the groups tally their wheat and calculate profits. The peasants get nothing back. The noble lords get a 10 percent cut. The rest goes to the king and queen. Students in his class also prefer this teaching approach because it “doesn’t follow a script” and they can interact with each other. Former students of Coyne’s class say they still remember what they learned in his class — and that retention of information through hands-on activities is a selling point that PBL advocates like to emphasize. 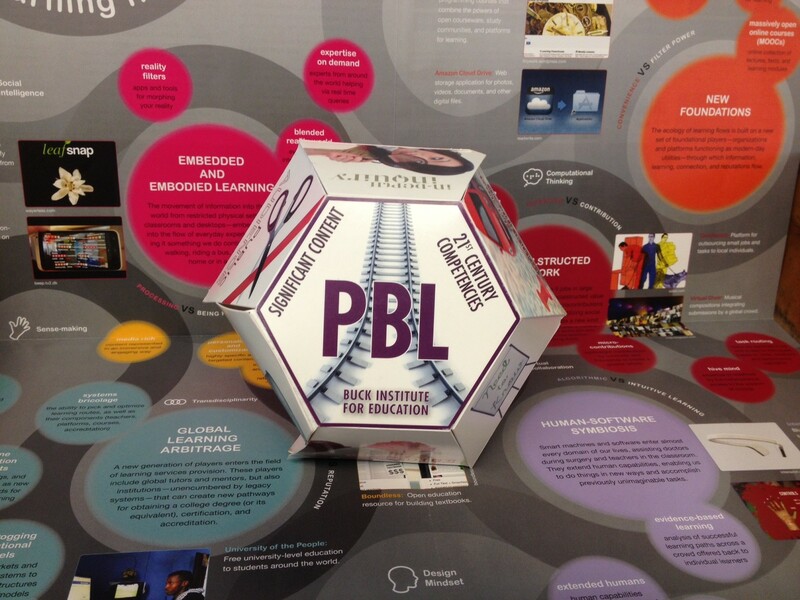 For Coyne, there’s a deeply personal reason why he has adopted project-based learning. As a child, he was diagnosed with dyslexia. He hated going to school because of all the back-to-back lectures, memorizing and reading. Coyne turned to drugs and alcohol as a teenager and wound up in the hospital on his 19th birthday. Once he got clean and sober, Coyne realized the right thing to do was to finish school. As a teacher, Coyne has been determined to help all students who have a tough time in the traditional classroom setting. He admits successful projects take hours of planning, which can overwhelm many new and veteran teachers. Education experts say in order for this approach to really work, the entire school day has to be restructured so that teachers have more time to plan. 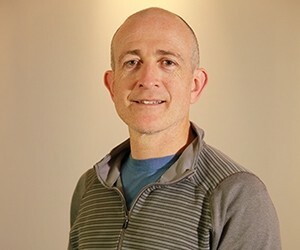 “Teachers will need leadership at their school that will give them the space to develop projects and also provide critical feedback,” says Rick Ayers, professor of education at the University of San Francisco. Lincoln High School in the San Jose Unified School District is one campus that has re-engineered its traditional school schedule so that teachers can meet for longer periods of time to plan challenging hands-on activities together. So far, the district has spent roughly $150,000 to hire consultants and train teachers. Lincoln High made the switch to project-based learning three years ago because student test scores were stagnant. Student surveys also showed far too many teenagers were not engaged and did not feel connected to the campus. Those indicators, combined with the mounting pressure to satisfy new state academic standards, forced Principal Matthew Hewitson to do something bold: He let his teachers decide how to get the school back on track. Teachers chose projects to be the centerpiece in every class and in every grade. “Your classroom may look chaotic, but there is a method to the madness,” says teacher Alison Zuniga. There have been hundreds of projects at Lincoln High, from students redesigning their school to building theater sets in math class. Many Lincoln High students say how much they learn depends on how relevant the project is to what they’re learning in class. They say group dynamics are also a factor. Students across California took the state’s Common Core-aligned test for the first time last year. Lincoln High did better than most schools in the state, especially when it came to students’ inquiry and research skills. However, in math and English, the school still fell short. Hewitson admits Lincoln High may have jumped into project-based learning too quickly. “When you move too quickly, you can run into quality-control issues. So that’s where we’re at now,” Hewitson says. However, Hewitson says fewer students are getting “D” and “F” grades compared with three years ago. Student attendance rates have also improved. District and state officials are watching closely because if Lincoln High succeeds, the campus could be a model for other schools in California. Hewitson says the next step is holding teachers more accountable. Linking student test scores with teacher evaluations is controversial, but San Jose Unified is slowly moving in this direction. Lincoln High teachers admit there are going to be successes and failures as they move forward, but the school community is willing to see this effort through. 20 Nov 2015--EDUCATION POLITICS :: As the country’s second largest school district seeks a new superintendent, the LA Unified School Board is exploring The Broad Foundation’s proposal to move half of the district’s students into charter schools. 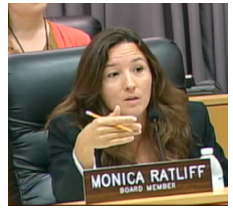 LA Unified Board Member Mónica Ratliff (photo), chair of the District’s Budget, Facilities and Audit Committee, is exploring the possibility of converting all District schools into charters, according to the agenda of the committee’s November 17 meeting. This move would, in effect, dissolve LAUSD, creating the country’s largest charter district. If the Broad Foundation proposal seems formidable, the all or nothing plan explored by Ratliff et al. is like fixing a small dent in the bumper by buying a new Tesla. Establishing a charter district or even moving half of its students into charter schools isn’t some magic elixir. Education has long been the path out of poverty. A college education is, in most cases, a determinant in upward mobility. As cited in a New York Times article by Eduardo Porter, male high school graduates who don’t attend college earn a fifth less than they did 35 years ago. The gap between college grads and those without degrees has widened. When I taught in LAUSD, the motto was “From Kindergarten to College.” We worked to get every student prepared to achieve a college degree. Despite our efforts, a divide remains. Students with college-educated parents are more than twice as likely to pursue higher education. Children with parents who dropped out of high school are seven times less likely attend college. Certainly, there are exceptions. We shouldn’t give up on our efforts to provide all students with a quality education, which also helps our economy and society at large. However, educating a diverse, urban student body requires addressing a broad range of challenges, not just handing over the keys to a charter system. Instead of funneling over $20M to address “legislative interference” and to convince parents to apply to charter schools, why not address issues like teacher/student ratio or provide teachers with better resources? In the New Orleans Recovery School District, in which charter schools serve over 90 percent of the city’s students, 79 percent of the charter schools held a D or F rating by the Louisiana Department of Education eight years after Katrina, according to The Investigative Fund, charter schools, like traditional schools, well-run, successful schools, as well as failing ones. However, transferring to a charter-only model certainly does not remove the existence of underperforming schools. California currently has eight all-charter districts, four of which only have one school. The largest of these districts has seven schools, serving 2,400 students. In comparison, LAUSD has 1,274 schools. Expanding the number of charter schools would require substantial funding. Just this year, the U.S. Department of Education announced California will receive none of the $125 million allocated for the next funding round. The state had received $250M in federal funds over the past five years. Converting LAUSD to a charter-only district would require a number of conditions, including at least 50 percent approval of teachers, finding teachers to employ during an existing teacher shortage, and securing facilities. If only half of LAUSD’s students were moved to charter schools, per the Broad Foundation proposal, per pupil funding for the public schools left holding the bag would be decimated. According to the LA Times, the other dirty little secret of the Broad proposal is the allocation of $43.1M for a “teacher pipeline” to recruit young, inexperienced teachers from Teach for America. Research from UC Berkeley and a 2015 analysis from the National Bureau of Economic Research show that TFA participants tend to remain in the classroom for shorter periods of time than traditionally credentialed teachers. Should LA residents be wary of the Broad Foundation mission or transition to a charter district? An aggressive undertaking to move a majority of LAUSD’s students to charter schools would likely bring an educational landscape of short-term inexperienced and overworked teachers, as well as fewer resources for the remaining students. (Beth Cone Kramer is a Los Angeles-based writer and CityWatch contributor.) Prepped for CityWatch by Linda Abrams. Flash forward 46 more years. The network of schools for Native American children run by an obscure agency of the Interior Department remains arguably the worst school system in the United States, a disgrace the government has known about for eight decades and never successfully reformed. Earlier this fall, POLITICO asked President Obama’s secretary of education, Arne Duncan, about perhaps the federal government’s longest-running problem: "It's just the epitome of broken,” he said. "Just utterly bankrupt." The epitome of broken looks like Crystal Boarding School. Tucked into the desert hills on a Navajo reservation 150 miles east of the Grand Canyon, Crystal has cracks running several feet down the walls, leaky pipes in the floors and asbestos in the basement. Students come from extremely troubled backgrounds but there is no full-time counselor. Last year, a new reading coach took one look at the rundown cinder block housing and left the next day. Science and social studies have been cut to put more attention on the abysmal reading and math scores, but even so, in 2013 only 5 percent of students were considered to have grade-level math skills. "I don't even know what to say, " said Duncan. "It's just not right." Crystal is one of 183 schools for Native American children scattered across reservations in 23 states and reporting to the federal Bureau of Indian Education, a small agency buried deep inside the sprawling and compartmentalized bureaucracy of the Department of Interior. The 48,000 students unfortunate enough to attend BIE schools have some of the lowest test scores and graduation rates in the country – even as the education they’re getting is among the nation’s most expensive; at $15,000 spent per pupil, the system costs 56 percent more than the national average. “Frankly, we spend an enormous amount per student relative to other school systems for terrible results," Cecilia Muñoz, director of the White House Domestic Policy Council, said. A year ago, President Obama decided to finally tackle the problem, a decision he pushed his team to make after an emotional visit to a Sioux reservation in the Dakotas. He told his Cabinet to "establish a pathway that leads to change" and that he would hold them accountable. His Interior Department has proposed a sweeping plan to allow more tribal control over the schools and rework the Bureau of Indian Education into a streamlined, modern school system - preferably before the end of Obama's term. But resistance, both within the agency and on the reservations, is high. Critics say the changes are being rushed and poorly communicated. They warn that paring back the federal government’s role will only make it easier to under-invest in schools that, by almost any measure, need money and resources the most. When all the Washington fighting is over, it’s possible, those critics say, that some of the worst schools in America will get even worse. In the wake of the Civil War, as the federal government forcibly uprooted Native American tribes across the continent, some progressive educators saw an opportunity to remake Indian children in their own image. One of these people was a former U.S. Army officer named Richard Henry Pratt, who founded in 1879 an Indian school in Pennsylvania, about 30 miles north of the Gettysburg battlefield, with authorization from the federal government. At Pratt’s Carlisle Indian Industrial School students were banned from speaking their Native languages and dressed to look like white students and even given new names. Dozens more boarding schools followed, all overseen by the Bureau of Indian Affairs. When families balked at sending their children thousands of miles from home so that they could be taught to reject their own culture, Congress authorized the Secretary of the Interior, who was in charge of all matters relating to the tribes, to withhold food from any family that didn't turn over their children. In time, this forced assimilation came to be seen for the abuse that it was. A 1928 report commissioned by the Interior Department found that teachers were under-qualified and malnourished students were, in the name of vocational training, put to work at jobs that may have violated child labor laws. So the government began closing down the boarding schools and replaced them with on-reservation schools like Crystal, which was built in 1935 as part of Franklin Delano Roosevelt’s New Deal. But attempts to devolve more authority to the tribes lasted only until World War II when a House Select Committee on Indian Affairs proposed "a final solution of the Indian problem," a culture-busting program that involved sending children to schools far from their reservations. "The goal of Indian education," according to the committee, "should be to make the Indian child a better American rather than to equip him to be a better Indian." In the mid-60s, with pressure mounting once again to give the tribes more authority, a private non-profit organization, using money from the Office of Economic Opportunity, built the Rough Rock Demonstration School on the Navajo reservation in northern Arizona. Educators Robert and Ruth Roessel created a twin curriculum that taught Native American language and culture alongside traditional courses. The Roessels enrolled their son, Charles "Monty" Roessel, who is now the director of the BIE, as a kindergartener. But even after a law was passed in 1978 aimed at giving tribes the same kind of control as the five-member school board that ran Rough Rock, the internal workings of the Bureau of Indian Affairs were still broken. While one office (what would later be called the Bureau of Indian Education) handled educational matters, other offices within the larger Bureau Indian Affairs had say over school construction and maintenance, personnel and technology, all of which are major parts of school operations. The tribes also have some power and, particularly in the southwest, so do school boards, which further diffuses the authority -- and the accountability over the schools’ failures -- across the country. In 1988, yet another report commissioned by the Department of Interior, blamed the uniformly woeful test scores on poor leadership from Washington, where acting directors came and went, to the local level where principals turned over at a rate of 33 percent every year. Meanwhile, because the schools grew to account for 35 percent of the $2.4 billion budget at Indian Affairs, power struggles in Washington became frequent and debilitating. “It was a battle to create the proper culture” among BIE and Indian Affairs officials, said former BIE Director Keith Moore, a member of the Rosebud Sioux Tribe of South Dakota, who had been Chief Diversity Officer at the University of South Dakota before leading the BIE from 2010 to 2012. The other offices within Indian Affairs “have no background in education and how to run an educational bureau well, but they’re making critical decisions,” Moore said. Former and current Bureau of Indian Education employees interviewed by POLITICO said operating the Indian schools programs is massively frustrating. “If you want to stay in a position like [BIE director], you’ve got to support the agenda of the day,” said John Tippeconnic, who was a teacher and vice president at a Navajo community college and director of the Center for Indian Education at Arizona State University before becoming director of BIE. His three-year term 1992 to 1995 made him one of the longest serving directors. The agenda of the day rarely favored Indian schools. President Bill Clinton made an effort to improve the BIE, starting a program to train more Native American teachers and asking for funds to fix run-down schools. The program was successful in training more Native teachers but has dwindled over time. And the school construction money, though helpful, didn't come close to solving the need, said David Beaulieu, who directed the Education Department's Indian education programs from 1997 to 2001. "It was just a drop in the bucket," Beaulieu said. President George W. Bush’s No Child Left Behind program, which aimed to bring accountability to schools, was especially hard to implement at BIE. Administrators struggle to comply with local tests and standards in 23 different states. Like Clinton, Bush pushed for new construction for BIE schools. In 2004, the administration put out a list of the 14 schools in the poorest condition, and began working on replacements. 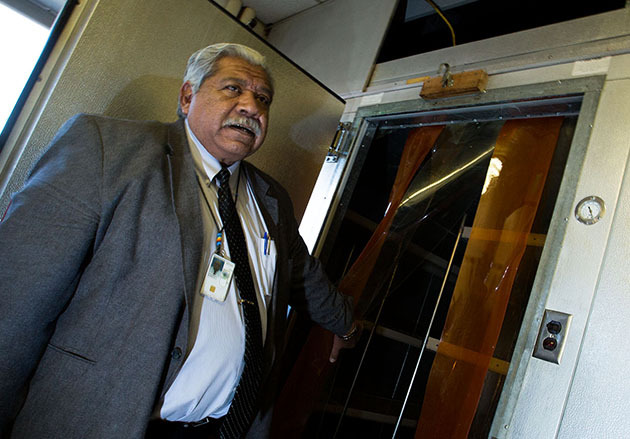 But 11 years later, two of the schools – both on the Navajo reservation – have yet to get replacements. The total cost would be $40 million. More schools fell into poor condition in the meantime; it would now take roughly $1.3 billion to bring the 60-plus schools that need new buildings up to shape, the Interior Department estimates. During the Obama administration’s first term, the BIE limped along as it had for years. School construction budgets for schools dwindled under competing administration priorities and twice the administration didn’t propose any money for new BIE schools. Meanwhile, a parade of directors – three in four years – gave the agency inconsistent oversight. Keith Moore’s chief of staff, Brian Drapeaux, replaced him after Moore left as acting director. Later, Moore and Drapeaux were shown to have violated the department’s ethics by its Inspector General. Drapeaux had ties to a South Dakota business applying for an $800,000-plus contract with the BIE and was asked to recuse himself but didn’t, the inspector general found. A district attorney in South Dakota declined to prosecute. When Secretary Sally Jewell arrived at the Department of Interior in the spring of 2013, she was warned by her predecessor, Ken Salazar, that the BIE schools were “a difficult part of our portfolio,” Jewell told POLITICO. She began consulting with Education Secretary Arne Duncan, in part to ask why the Interior Department – rather than Education – was even running a school system. The answer was part legacy - it's always been Interior's responsibility because there was no such thing as a Department of Education back when the treaties were signed. And part structural - the Department of Education provides funding, but it does not run schools. And besides, it wasn't like anyone was rushing to add a mess like BIE to its portfolio. Jewell put together a team to map how to modernize the BIE. Experts were brought in from Brown University and the Department of Defense, which runs its own school system comprised of 175 schools at bases around the world but which has had far better results than BIE. Director of the Bureau of Indian Education since 2013, Roessel is at the center of efforts to the reform the agency. He led the BIE during the first Clinton administration. He complained the agency’s budget was inadequate to accomplish rebuilding goals. Moore was director of the BIE from 2010-12. His deputy had ties to a business that applied for an $800,000 contract with BIE. Principal at Lukachukai Boarding School. Principal at Crystal Boarding School. The Secretary of the Department of Interior, which oversees Indian matters, has led the effort to reform the BIE since 2013. Jewell’s team proposed restructuring the 4,500-employee agency, as well as stripping out ineffective bureaucrats and replacing them with education specialists who can focus on helping schools improve their academics. BIE should replace old schools, according to the plan, and give teachers extensive professional development. The changes should give tribes more control and BIE schools more leeway to teach Native American culture, which had been squeezed out by the emphasis on testing. But Jewell couldn’t do much on her own: She needed Congress to give her money to build schools and to approve the agency’s new structure and any changes in personnel. BIE employees, some of whom had worked at the agency for decades, would need to support the changes or leave and be replaced. And skeptical tribes had to want more autonomy over the schools, rather than defer to the BIE. Jewell has visited close to 30 BIE schools over the last two and a half years, sometimes in the company of “Monty” Roessel, the current BIE director. Jewell remembers her visit to the Crystal Boarding School; dozens of kids lined up to give her hugs. In the summer of 2014, President Obama and his wife Michelle made a trip to an Indian reservation. It was their first while in office. They chose the town of Cannon Ball, North Dakota which sits on the northern edge of the Standing Rock Indian reservation. Before attending a pow-wow, the president and first lady met privately with six young adults, all members of the Standing Rock Sioux tribe, at the local elementary school. With almost no one else in the room, the students opened up about challenges they faced growing up on the reservation. They talked about loved ones having addiction problems or attempting suicide. One had dropped out of college at the age of 21 to raise his four younger siblings after both his parents died. The meeting lasted far longer than it was supposed to. The Obamas left stunned. “At their core, there was a nagging doubt that they would have the opportunities that my daughters had,” Obama later said. A few weeks later, Obama grabbed Jewell by the shoulders during a White House reception and told her he wanted her to do everything she could to help young people on reservations. In an emotional cabinet meeting that followed, the president cried in the Roosevelt Room while talking about what the administration should do for kids on reservations. Two top administration officials told POLITICO it was the most emotional they’ve ever seen the president, even though it had been weeks since his return from the reservation. The president’s support gave momentum to Jewell’s plans, which at that point existed mostly on paper. After years of requesting little or no money for new construction, the White House once again asked Congress for money to replace rundown schools. It started seeking out permission from lawmakers to overhaul the BIE’s tangled bureaucracy as Jewell’s team had advised. That December, the White House announced a range of other minor initiatives to help Native youth. 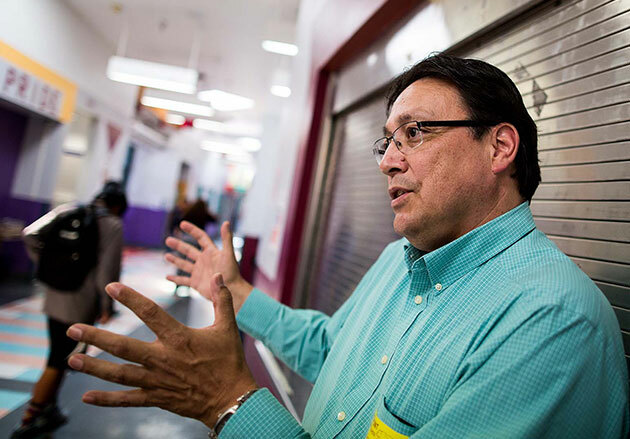 Some, including the superintendent of the Navajo schools, are throwing their weight behind the president's plan and working to sell it on the ground. But the proposed reforms have been met with deep skepticism on many reservations, where people have seen waves of reform come and go. “They’re washing their hands,” said Lee B. Roy, president of the school board of the Cove Day School in Arizona, referring to the Obama administration. Like many on the Navajo reservation, Roy, a former member of the tribal council, foresees bad side effects of the BIE reforms. They could very well lead to his school having higher overhead costs, or having to merge with another school 20 miles down the road. But above all, Roy is concerned giving more control to the tribe will make it even easier to ignore and overlook the BIE schools. The community agrees, and has passed a resolution formally opposing the reforms. In the Dakotas, where skepticism of the reforms runs even higher than in Navajo country, one tribe filed a motion in court to stop the changes. School board members like Roy, who could wind up losing their posts if tribes opt to consolidate the school board structure, feel particularly threatened by the changes. Many in the BIE school system say the plan has been poorly communicated, and that tribes won’t all buy in to Obama’s plans. Tippeconnic, the former BIE director, is similarly concerned. Tippeconnic said he supports more self-rule for the schools, but only after the tribes are prepared to do the job. In the meantime, he recommends recruiting and training better leaders for the BIE; helping tribal leaders and school boards better understand education; hiring good teachers in the classrooms. Rep. Tom Cole (R-Okla.), a member of the Chickasaw Nation, told POLITICO that finding ways to encourage teachers to come teach at BIE schools through better housing or policies like student loan forgiveness could help the agency “attract and retain really top notch people” in classrooms. Cole supports Obama's plans, but sees much more that needs to be done in BIE schools. Even administration officials have openly said that, if the reforms are done well, they will only begin to solve the BIE’s problems after years of neglect. “I’m disappointed, quite frankly. The administration has done a lot of work in Indian country but this has not been addressed the way it should be addressed” during Obama’s time in office, said Sen. Jon Tester (D-Mont. ), vice chairman of the Senate Indian Affairs Committee. A group of House Republicans like Cole and Democrats – many of them from states with large Indian populations – support funding the BIE schools. When Obama requested money for new schools this year, the committee gave him his $188 million request – large by comparison to his previous requests but still only a fraction of the need, according to some members of Congress. In the Senate, however, the panel that writes spending bills for the Department of the Interior is chaired by Sen. Lisa Murkowski (R-Alaska), who has no BIE schools in her state. Murkowski recommended a small pool of funds, $23 million, for new schools this year. Murkowski's office did not respond to requests for comment. By contrast, the 175 schools run by the Department of Defense handily convinced Congress to fund new school construction several years ago. In 2014, a year that BIE received $55 million for new school construction, the Defense schools got $879 million, part of $4 billion that has been set aside for the schools so far. In late fall, Monty Roessel, returned to northern Arizona. He is in charge of the BIE system, but this region is more than just a professional responsibility to him. He grew up here. During a photojournalism stint, he shot a hearing about the effects of uranium mining on the Navajo people for Newsweek. He found his calling here as an administrator and later superintendent of the Rough Rock Community School, the same school his parents had started in the 60s. Hired by BIE in 2011, he was put in charge of all Navajo schools. He reluctantly applied for the position of acting director after friends and colleagues told him not to; Assistant Secretary Kevin Washburn said he was drawn to Roessel while looking for a "change agent" to run the agency. Soon Roessel was BIE director, playing a key role in Sally Jewell's plan to restructure the agency. 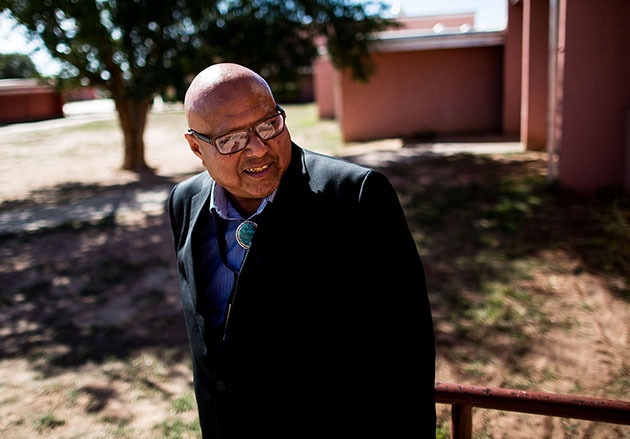 He feels strongly that local control is the key to better education for Indian children, but he understands the wariness of local officials who suspect Obama's plan is just a way to shirk responsibility. If the BIE can be restructured as a support agency rather than one that runs schools, then in "the tribe lays out a goal, a plan, an idea, a dream" for education, Roessel said, "and it's not BIE's job to challenge that." In numerous meetings over the last year, Roessel has made his case for the proposed reforms to critical school board members, administrators and tribal officials. But today, accompanying POLITICO, his first stop is Cove Day School, where he gets a warm greeting from the PTA and Roy, the school board president. After 14 years, the school is about to be replaced. Roessel has many questions about the plans for the new school, and Roy doesn't mention his distaste for the reforms Roessel is pushing. The inadequacy of the education is harder to see than the dilapidated buildings. But the problems are not unconnected. Good teachers don't want to come to schools that are remote and rundown. And if they do come, they don't stay for long. This fall, two of the three teachers at Cove Day are aides filling in while the school works to hire certified teachers. During a recent reading class this September, an autistic student sat in the back, rapidly clicking through a reading exercise on an aging desktop computer without reading any of the words on the screen. The teacher, who instructs 4th, 5th and 6th graders simultaneously, was too busy at the front of the class to pay attention. Cove has no special education teacher, so the student gets help one day a week from the specialist at a school down the road. Chronic teacher vacancies at BIE schools and an inability to attract and keep qualified instructors make it difficult for schools to improve. As of November, there are 140 academic vacancies across the BIE system. For many, it’s a challenging job. Students often come from difficult backgrounds, resources are scarce and when there isn’t adequate housing some teachers drive hours onto a reservation to teach each day. Even when teachers apply to a school, the bureaucracy can make it difficult to get them into the classroom. Teachers at the BIE schools with the highest level of federal involvement earn salaries that are higher on average than teachers at other schools; a new teacher with a bachelor's degree earned a starting salary of $39,775 at a BIE school in 2011, compared to an average of $33,200 at a rural public school. The results of the uneven instruction are plain to see. Many older students don't graduate. BIE high schoolers graduate at a rate of 53 percent, below the rate of 67 percent for American Indian and Alaska Native youth at regular public schools – which is the lowest for any racial/ethnic group in the country – and significantly below the national graduation rate of 81 percent. When student performance is compared to students in large urban school districts that, like the BIE, serve many low-income students, the BIE again falls short. In 2011, when the last national assessment was taken and for which BIE data is available, BIE students performed worse than every major urban district in the country except for Detroit. Sitting in the principal's office at Lukachukai Community School, just 10 miles south of Cove school on the other side of a mountain range, Principal Arthur Ben and Roessel discuss strategies to get more, better teachers in the classroom. Ben hustles to recruit teachers he wants for his school; he's pulled people out of retirement and is looking at training paraprofessionals so they can pass a state exam and get credentialed. Days before Roessel's visit to Lukachukai, a dozen adults at the school gathered in the front office at the school board’s request. They had one last thing to do before submitting their application for a new school. They pushed desks and chairs to the walls and sat on the carpet in a circle reminiscent of how they would have sat in a traditional Navajo hut, and for a little over an hour, a medicine man performed prayers and chants, blessing the paperwork. 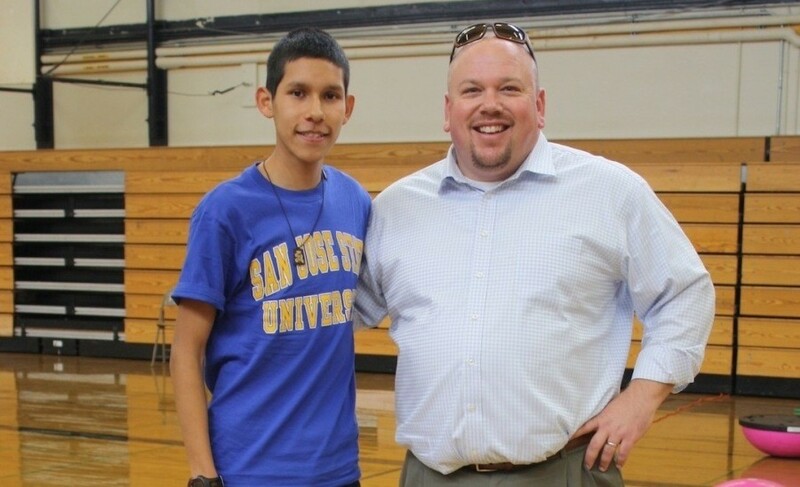 Ben, the principal, drove the application 224 miles to Albuquerque the next day. A BIE office in Albuquerque is the hub for overseeing the 66 BIE schools in the 27,000 square mile Navajo reservation that spreads across the deserts of northern Arizona and New Mexico and Utah. The Albuquerque office and others on the reservation are meant to provide maintenance and help them improve, but principals of the BIE schools know it can take weeks to get help, if it ever arrives. Ben is aware the chances Lukachukai will get a new building are slim. More likely than not, his students will continue to learn in the dark during hot afternoons when teachers have to turn off the fluorescents to keep the room cool. They’ll continue to learn science with no lab and no chemistry set. And each morning they’ll walk into school past a massive, condemned dormitory for which there are no resources to rebuild, or even demolish. Meishyla Begay, the student council president, said she’s tired of the cracks in the bathroom walls, ceilings stained from leaks and vents that spray dust from outside into the school. She has traveled to the public school just down the road for sports meets and is keenly aware of all the things the other schools have that hers doesn’t, like a baseball or football field. Sitting in a grey athletic shirt with a hot dog and milk in the cafeteria, she says other students ask her if she can fix up Lukachukai. A day later, Roessel stopped at Many Farms Community School, whose executive director, Jacqueline Benally, was a friend of Roessel from childhood. Benally, who has neatly curled bangs and a cheery disposition, said that when she arrived at Many Farms three years ago there were no doors or partitions in the bathrooms. It once took over a month to get the school re-stocked with toilet paper. Even now, though her teachers have computers and smart boards, they can’t turn them on at once or they’ll trip the school’s circuit breakers. Across the school’s parking lot, there are blocks of shuttered houses built for teachers – 44 of them in all – that fell into disrepair on the BIE’s watch. Benally explained that she has been trying to fix up the run-down houses one at a time so they can attract good teachers to the school. She uses the rent money paid by teachers for the repairs. Roessel’s frustration was palpable as he stared at the empty homes. “You’d still be waiting if you were waiting for me,” he said. For now, the Obama administration’s plan is moving at a crawl. Opponents of the plan are lobbying loudly against it. Congressional appropriators are expected to approve the plan, which groups including the National Congress of American Indians have recently come out in favor of, but letters and resolutions opposing it have also been piling up. And Congress’s make-up doesn’t lend itself to leadership on the issue: Only a handful of lawmakers come from districts or states where the tribal members’ votes can sway an election, so few are inclined to represent tribes’ interests. The BIE schools don’t retain an army of lobbyists; they don’t have a super PAC with millions to spend. “If any other agency that had the performance record that the BIE does, you’d have 25 senators standing on the Senate floor, clamoring for change” and resources, one D.C. lobbyist who works on tribal issues said. The administration, meanwhile, has managed to open up vacancies so they can replace them with education specialists, but without permission from Congress, they can’t hire anyone new. The shakeup has generated intense opposition inside the agency, where one employee, in an email to POLITICO, called the reforms “a raging dumpster fire”; an employee union is mobilizing against the reforms, warning employees that Obama’s changes will lead to thousands of lay-offs. The BIE employees “are both our biggest champions and our biggest critics,” Jewell said. If she can win them over, she’ll have allies who will outlast political appointees like her and continue to advance her agenda. If she can’t, there’s nothing to guarantee the BIE reforms won’t be abandoned or rolled back when Obama leaves office. But she may also be looking to hire Obama's sixth director soon. Roessel says he’s in it for the long haul. But he’s tired of being in Washington, Jewell said, and she’s not sure how long he’ll stick around. Nov 16, 2015 :: As more students in high school take advanced classes and Common Core guidelines have made kindergarten an academic experience, many parents feel like their children have too much homework. How much homework should my student be doing? LAUSD has suggested time allocations for students’ homework, and it suggests assigning homework only four days a week. The guidelines aren’t mandatory. The California state Parent Teacher Assn. encourages local PTAs to work with districts to come up with homework guidelines. That depends on what grade your child is in. In elementary school, homework is mostly about establishing responsibility, said Katie McGrath, LAUSD’s director of elementary instruction. That includes teaching children to follow directions, learning how to be accountable for keeping homework safe, completing it, and turning it in. Homework should reinforce lessons students have already learned in class. Perhaps, says Harris Cooper, a Duke psychology professor who studies homework, it includes a bonus question that takes the concept one step further -- preparing students for the next day’s lesson. In middle school and high school, homework takes on the role of being important to academic achievement, Cooper said. Homework improves academic outcomes, up to a point. Research suggests that middle school students who complete 60 to 90 minutes of homework per night perform as well on standardized tests as the students who spend more time, Cooper said. In high school, that cutoff is at two hours of homework per night. For years, teachers have been using the so-called “10-minute rule” to figure out homework targets. It’s the idea that with each grade of elementary school, a child’s average homework per night should increase about 10 minutes, said Cooper, who has researched this trend. What do I do if there’s too much homework? Parents can talk to or email teachers if there is consistently too much homework, or if it’s too difficult. If enough parents speak to the teacher, there might be a pattern that emerges that a teacher can address, either by covering the subject more in class or by assigning different homework. It could also be an opportunity to talk about tutoring or academic help options for a student. It’s also OK to prioritize sleep and health over homework — LAUSD’s homework policy says that homework can count for only 20% or less of a student’s grade, so skipping an assignment in favor of being healthy once in awhile won’t affect the overall grade too much. Just address the underlying problem before it becomes a pattern. What is a parent’s role? Parents should be emotionally supportive and can help explain concepts, but stop short of solving a problem. “It should really be the student’s responsibility to do homework with the parent playing a minor supporting role,” said Erika Patall, a University of Texas at Austin educational psychology professor who studies student motivation. Parents can have a conversation with students at the beginning of the year to discuss when the students will do homework, where they’ll do it (it can be helpful to have a designated homework spot in the house, for example), and how students will best budget their time. Researchers say it’s important for students to feel like they have autonomy and to feel responsible for their homework, as opposed to feeling like someone else is controlling them. Like parents, it helps for teachers to give students a choice, Patall said. She has conducted research and found that when teachers gave students the option between two different assignments on the same topic, students performed better on that unit test and felt more competent and confident. It also helps if students understand the purpose of homework. Listen to students’ feedback, and explain why this particular piece of homework is important, Patall said, and what role it plays in the lesson. Is it normal to hate homework? “Everybody hates homework,” said Janine Bempechat, professor of human development and psychology at Wheelock College in Boston. She interviews students about homework and educational experience. That includes high-achieving and low-achieving students alike, Bempechat said. Some parents hate homework too — kids parrot their parents’ behavior, so they’re less likely to react positively if their parent has a negative attitude toward homework. And homework can be both lonely and exhausting, especially after six hours in school, Bempechat said. Parents can implement little reward systems for completing tasks, like 10-minute breaks to watch a YouTube video or ride a bike around the block. Can my kid get homework help? Yes. Depending on the time of day and the teacher, students or parents can email teachers with specific questions if they’ve exhausted other options. Don’t always expect a response, but the teacher will know that your kid is trying, and will be able to address the specific problem. Here is a list of free tutoring programs throughout L.A. County. There are also homework hotlines that help students struggling with specific problems. Harvey Mudd College has a number that 4th- through 12th-grade students can call for help on science and math problems. 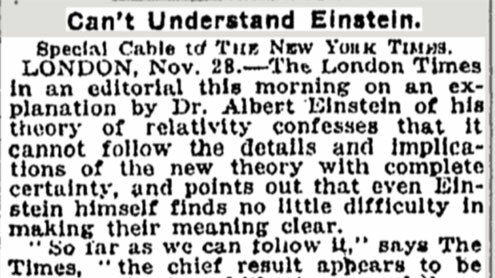 NOV. 24, 2015 :: PRINCETON, N.J. — By the fall of 1915, Albert Einstein was a bit grumpy. Graphic : What Is General Relativity? 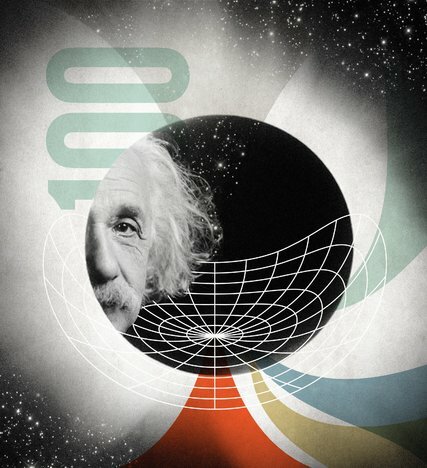 Einstein presented his general theory of relativity 100 years ago this month. It was then — perhaps tilting too far back in his chair at the patent office in Bern, Switzerland — that he had the revelation that a falling body would feel weightless. That insight led him to try to extend his new relativity theory from slip-siding trains to the universe. According to that foundational theory, now known as special relativity, the laws of physics don’t care how fast you are going — the laws of physics and the speed of light are the same. Einstein figured that the laws of physics should look the same no matter how you were moving — falling, spinning, tumbling or being pressed into the seat of an accelerating car. In 1913, he and his old classmate Marcel Grossmann published with great fanfare an outline of a gravity theory that was less relative than they had hoped. But it did predict light bending, and Erwin Freundlich, an astronomer at the Berlin Observatory, set off to measure the deflection of starlight during a solar eclipse in the Crimea. 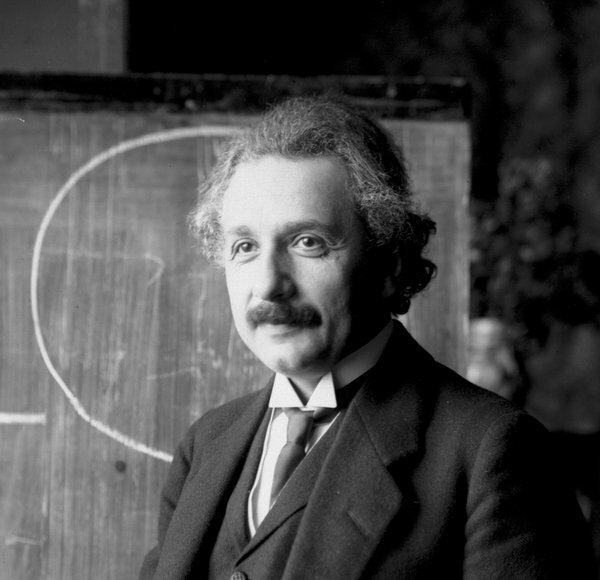 When Albert Einstein and his work first became known to the broader public, articles in The Times often seemed to alternate between exasperation and fascination. One strange feature of his work was that at a certain distance from the star — to be known forever as the Schwarzschild radius — the equations would go kerblooey. NOV. 25, 2015 :: Less than a year ago, Gov. 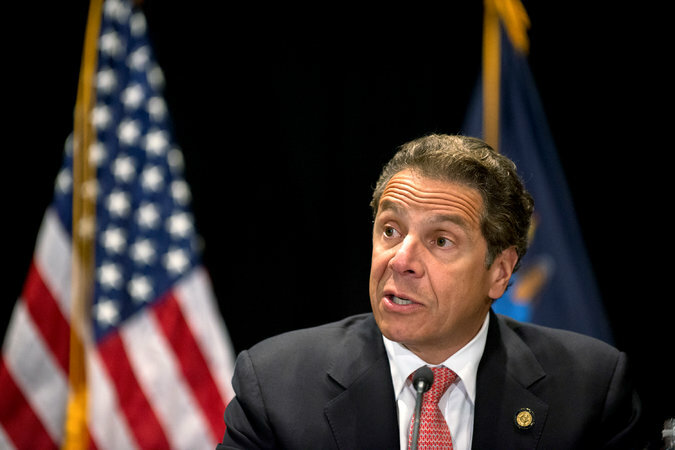 Andrew M. Cuomo of New York proclaimed that the key to transforming the state’s education system was tougher evaluations for teachers, and he pushed through changes that increased the weight of student test scores in teachers’ ratings. Administration officials characterized the governor’s position differently, saying he was waiting for the recommendations of a task force he had set up to conduct a review of the Common Core standards and assessments. “There is no position of this administration with respect to this issue,” the governor’s director of state operations, Jim Malatras, said this week. New York’s expected turnabout comes as states across the country are trying to respond to anger over standardized testing, and as the Obama administration is backing off the idea of tying teacher evaluations to test scores. The idea that Mr. Cuomo, a Democrat, is pushing for the changes comes from several different avenues. Two members of the Board of Regents, the body that sets state education policy, said they had also heard that Mr. Cuomo was urging a moratorium on the use of test scores in evaluations. The two board members, Kathleen M. Cashin and Betty A. Rosa, both said they would heartily support such a change. “I’m thrilled,” Dr. Cashin said. Asked why she thought the governor might have changed his view, she said she thought he might have listened to educators’ concerns about using the tests. New York State first passed a law tying teacher evaluations to test scores in 2010, as part of the state’s application for federal Race to the Top funds. The law required that test scores count for 20 percent of evaluations for teachers of English and math in fourth through eighth grade. In his State of the State speech in January, Mr. Cuomo said that the state’s evaluations were “baloney” because 96 percent of teachers were rated effective, even though only about a third of students in the state were reading or doing math at grade level, according to the assessments. As part of a state budget deal in March, the Legislature created a framework for evaluations that increased the role of test scores, but it left the precise weight of scores on state versus local tests to the Board of Regents, whose members the Legislature selects. The Regents ultimately decided that for teachers of English and math in fourth through eighth grade, state test scores would count for 25 percent to 50 percent of their evaluations. Now that number is likely to be reduced at Mr. Cuomo’s urging, according to the education policy makers. One of them said that Mr. Malatras in a conversation said that the administration wanted to decouple test scores and evaluations. The other person reported having spoken with people who had similar conversations with the administration. Mr. Cuomo could ask the Legislature to make that change. But so far he has not gone that route, leaving it instead to the State Education Department and the Regents. MaryEllen Elia, the state education commissioner, said in a phone interview that she was “absolutely in favor” of using test scores and other measures of student performance in teacher evaluations. She said, however, that she understood the anger over testing and would consider the governor’s view in whatever she ultimately decided to do. Ms. Elia said she discussed a possible compromise this month with the governor’s office and the Regents under which test scores would count for 20 percent of evaluations and any penalties based on test scores would not be imposed until 2019. But the governor’s office objected to that proposal, Ms. Elia and Mr. Malatras both said. “A fake 20 percent is bad policy,” Mr. Malatras said. Ms. Elia said the governor’s office did not want her to get out ahead of the administration’s task force, which is expected to make recommendations to Mr. Cuomo before his 2016 State of the State speech in January. She said she also decided her proposal was premature, so she dropped it for now. The task force itself may recommend decoupling test scores from evaluations or putting in place some kind of moratorium on teacher evaluations, a move that would please many teachers and administrators. It also appears that the advocates and donors to the governor who praised his call last winter for a more rigorous teacher evaluation system would not criticize him if it were now unwound. StudentsFirstNY, an advocacy group that promotes charter schools and other education reforms, on whose board several of those donors sit, strongly endorsed the governor’s campaign to make test scores matter more in evaluations, saying the existing system bore “zero resemblance” to how students themselves were performing across the state. The departing secretary of education says students aren’t getting the education the U.S. economy needs them to have. Nov. 23, 2015 1:19 p.m. 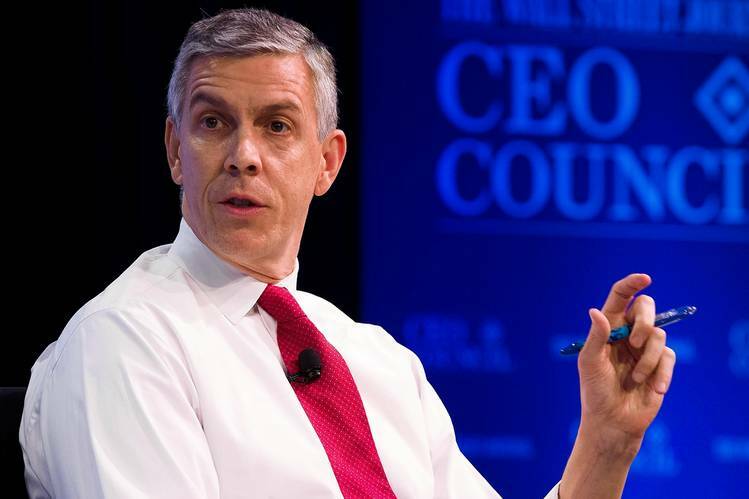 ET | Arne Duncan has been pushing the cause of education all his career. And as he prepares to step down as education secretary after seven years, he is asking CEOs to join him in the fight. In today’s global marketplace, it’s critical for the U.S. to develop in young people the skills that will keep America competitive. But across the nation, says Mr. Duncan, businesses continue having trouble finding enough college graduates with those skills. Mr. Duncan, in discussing the successes and setbacks of his tenure, asked CEOs for help to improve education from top to bottom, and discussed other challenges in an interview with Wall Street Journal Deputy Editor in Chief Matt Murray. Edited excerpts follow. MR. MURRAY: What skills do employers want and how well prepared is our education system to give them people with those skills? MR. DUNCAN: People who can think critically, work in diverse teams, and who can take complex information, come to a conclusion and make a recommendation. I can’t tell you how many CEOs I’ve met who say they can’t find young people with the skills they’re looking for. These issues aren’t left or right or Democratic or Republican. This is in our nation’s best interest. MR. MURRAY: What is the biggest undone item to better align the education system with the needs of the labor market? MR. DUNCAN: Unfortunately, there are lots. I’m a huge believer in early childhood education. The return on investment is remarkable. But we have so many kids entering kindergarten a year, year-and-a-half behind. We often don’t catch them up. MR. MURRAY: Sen. Bernie Sanders wants to make college free. How do we make college accessible and affordable? MR. DUNCAN: These things should not be reduced to sound bites. Is college too expensive for many people? Yes, and we have to find ways to continue to reduce debt. We’ve talked about free community colleges. If we reduce costs and still have these same outcomes, it’s not good enough. The worst debt is the debt you get when you don’t complete your degree. The vast majority of young people who graduate from college get good jobs and pay back their debt. With college completion rates so low, when you have debt and no diploma to show for it, that’s the conversation we need to be having. MR. MURRAY: College debt has roughly tripled in the past decade. How do we fix this? MR. DUNCAN: Again, to be very clear, the vast majority of folks who are defaulting are folks who didn’t complete their degree. Yes, we can contain costs. That takes federal investment. It takes state investment. It takes universities containing their own costs. We put $40 billion into Pell grants without going back to taxpayers for a nickel. The goal has to be not just access. The goal has to be completion. It’s got to be around outcomes. That conversation around outcomes I’m not hearing on either side of the political spectrum. MR. MURRAY: One of the big issues you’ve been involved in is college scorecards. You ran into opposition from the colleges on that front. MR. DUNCAN: When you challenge the status quo, you get pushed back. That’s totally fine. We’re pushing very hard for transparency. 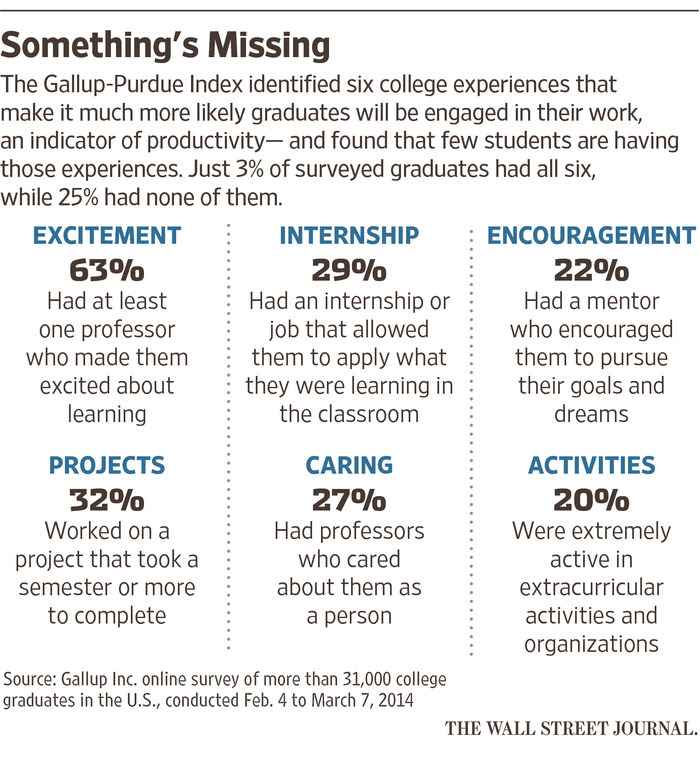 It’s interesting: 7,000 institutions of higher education, best system in the world, but it’s a broken marketplace. It’s absolutely inefficient. The vast majority of young people fill out the financial-aid form—they apply to one school. I’m a believer in choice and competition. We think we all have this great choice. We really don’t. So we’re trying to expand more options, get that out there, and get more young people good information. MR. MURRAY: Do you see room for the next secretary of education or president to advance this? You’ve run headfirst into opposition on that front a lot from all the higher educational institutions. MR. MURRAY: Can we make it happen? MR. DUNCAN: It is happening. We’ve put unprecedented information out there to empower young people, their parents and college counselors to make good choices. MR. MURRAY: Where does vocational training come in? MR. DUNCAN: I’m a huge fan. Department of Labor has put $2 billion behind community colleges where real training is leading to real jobs.There are so many good jobs out there with a two-year community-college degree. We want to do more career and technical ed in the high-school space. MR. MURRAY: The No Child Left Behind renewal, that may be coming out of committee? MR. DUNCAN: This law’s been broken for seven, eight years. Folks are trying to work now in a bipartisan way to get to a good place. MR. MURRAY: Are you happy with where it’s at? MR. DUNCAN: I’m happy that folks are working in a bipartisan way. And education should be the ultimate bipartisan issue. If we’re going to find consensus and common ground around anything, it’s got to be about giving every child in this country a chance to contribute to society, a chance to participate. MR. MURRAY: What is the right amount of testing? MR. DUNCAN: Folks have spent too much time teaching to the test. What we want is a common-sense approach. Get rid of the fill-in-the-bubble tests. [Focus on] more critical-thinking skills, more writing. Assess students every year. Know who’s growing. Know who’s getting better. Know which teachers and schools are helping students learn. MR. MURRAY: “Common sense” as defined by ... ? MR. DUNCAN: This is always defined at the state level. The real goal is that young people graduate high school and college career-ready. And a simple definition of that is not having to take remedial classes. So yes, graduation rates are going up. We are thrilled with that. But let me be clear. Massachusetts by every measure is our highest-performing state educationally. In Massachusetts, 30% of their high-school graduates are taking remedial classes in two- and four-year [colleges]. That’s our No. 1 state. Think about 2 through 50. So we have pushed unapologetically very hard for higher standards.